Encouraging collagen production •increasing skin’s moisture content • neutralizing skin damaging free radicals • encouraging new skin cell growth • improving the skin’s ability to protect itself • initiating skins healing repair • motivating anti-inflammatory characteristics • smoothing the surface of the skin• improving skin thickness • improving elasticity • offering effective acne treatments,• improving skin texture •improving skin tone • decreasing enlarged pores • firming and plumping your skin • treatments that provide nutritional skin supplements • treatments for facial de-stressing • improving broken capillaries and bruises • reducing aging and dark spots • retarding cell aging • intensive treatments for sensitive skin lightening & skin pigmentation problems and much more. Long gone are the days when facials were considered luxuries. A goal is set to help you understand the aging process and to assist you in making the best choices in both products and services. Intense education and research are done so that all treatments compliment each other to promote gratifying, anti-aging wellness for your skin. A personal goal can be set and achieved for a healthy radiant you! A Quick Lesson in Skincare!! 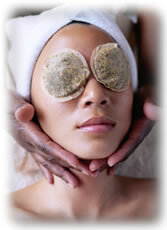 Facials to promote cell regeneration and rehydration of the skin. Good deep pore cleansings done at least every 4 to 5 weeks. A professional exfoliationof dead skin cells (only when advised). 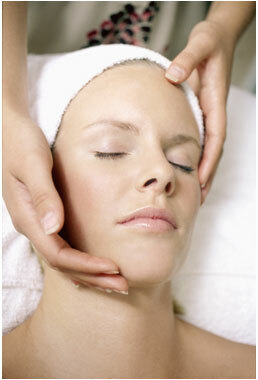 Facial massage to improve the circulation of the skin, skin tone and color. 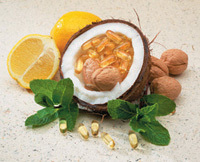 Specific essential oils, ampoules and mask for advanced cell turnover, rebuilding collagen and many other options. Crucial protection with your at home care. Adequate hydration with 4 to 6 glasses of water a day. Update skin care treatments and routines with every season. Manicures, Pedicures, Lash and Brow Tinting, Lash Perms, Sunless Tanning, Ear Candling, Scalp Facials, Microdermabrasion, Waxings, Facials, Peels, Body Wraps, Reflexology, Wellness and Weightloss Treatments and Much More. You may click on the link above to download the complete Spa Pricing Catalog. You will need Adobe Acrobat to access the file. You can download a free version by clicking on the link below.